The Reserve Bank of India is helping strengthen the regulatory capacity of Da Afghanistan Bank, the country's central bank, backed up by Turkey's central bank, the IMF and World Bank. Da Afghanistan Bank governor Khalil Sediq said the employees were trained in India by the RBI. The worst it gets for most central bankers is recession, deflation or a credit crunch. Maybe a bank bust if times are really tough. Not so in Afghanistan. There, Da Afghanistan Bank has had to grapple with a sharp economic slowdown worsened by the draw down of U.S. forces, Taliban attacks on a lender and a $900 million loan scandal and ensuing bank collapse that deepened distrust toward financial institutions in a nation where just 11 percent its 32 million people have a bank account. Now, the worst may be over. 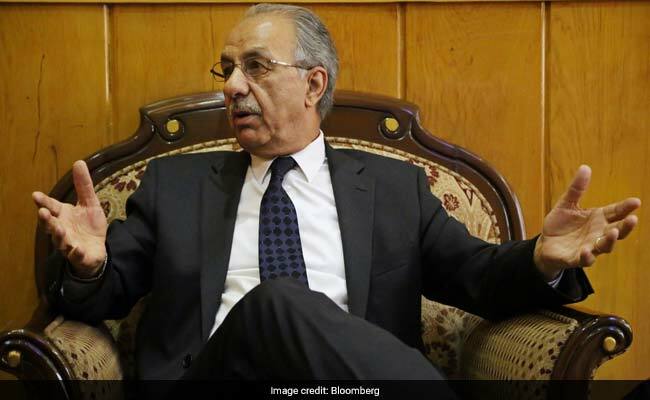 The World Bank, International Monetary Fund and the central banks of India and Turkey are helping develop Da Afghanistan Bank, Governor Khalil Sediq said in an interview in his wood-paneled office in Kabul. Bank profits rose 5 percent last year and stability has returned to the nation’s financial system, Sediq said. The 64-year-old governor -- in his second stint in the role -- has managed to restore stability even as economic growth stalled. Reduced aid from the international community and weak investor confidence in the face of increasing security challenges and political instability have weighed on the economy, according to a World Bank assessment on May 25. Better times lie ahead though, with growth projected to accelerate to 2.6 percent in 2017 and to around 3.6 percent by 2020. Sediq joined the central bank 37 years ago, rising to governor for the first time from 1990 to 1991. He took up the role again at the invitation of President Ashraf Ghani in July 2015 amid an economic slowdown that followed the draw down of foreign forces. Months earlier, the Taliban, which is fighting the government and U.S. forces across much of the country, stormed New Kabul Bank in Jalalabad city, killing Afghan soldiers who had gone to receive their salaries. Other than three Pakistani banks, no foreign lenders operate in the war-torn country, Sediq said. His office -- walls adorned with a picture of a camel caravan and a photo of President Ghani -- sits within Da Afghanistan Bank’s heavily guarded building, next to the Finance Ministry. Five years before his tenure began, Kabul Bank lost more than $900 million of saving assets in bad insider loans. An inquiry found the central bank had failed to provide appropriate oversight. The government of then president Hamid Karzai took over the bank and placed it in receivership. So far $450 million of the loans have been recovered, Sediq said. "The collapse of Kabul Bank in 2010 further deteriorated the trust of people in banks," said Ahmad Massoud, an economics professor at Kabul University. Even before that scandal, most people kept their cash inside pillows or locked up at home. Those who do have bank accounts are mostly from the relatively more developed provinces such as Kabul, Balkh, Herat, Nangarhar and Kandahar. More than 100 audits were carried out on Afghanistan’s 15 remaining banks last year, tightening oversight of the sector since Kabul Bank’s collapse in 2010, Sediq said. The Reserve Bank of India is helping strengthen the regulatory capacity of the Afghan bank, backed up by Turkey’s central bank, the IMF and World Bank. "We have to learn a lot from the Reserve Bank of India," said Sediq. "People from the auditing department, supervisory department, monetary policy and payment department are using the training in India and Turkey," as well as the IMF and World Bank. A spokesman for the RBI declined to comment. Turkey’s central bank confirmed it has a Memorandum of Understanding with the Afghan central bank but did not give any further details. The IMF confirmed it provides technical assistance in bank management, and is helping strengthen Da Afghanistan Bank’s independence, operations, and supervisory practices. In 2016, the IMF introduced measures to bolster financial stability by "fully resolving the 2010 Kabul Bank crisis by restoring the central bank’s balance sheet and New Kabul Bank’s solvency," a Kabul-based IMF spokeswoman said. World Bank assistance is focused on building the supervision department’s regulatory capacity, investing in the system’s infrastructure to create an efficient and sound payment system and modernizing the core banking system, a Washington-based spokeswoman wrote. The nation’s 15 banks, which offer both conventional and Islamic banking products, have $696 million in outstanding loans and $4.1 billion in assets, according to a report by the central bank. "I believe that in the coming years there should be some consolidation in the banking system," Sediq said. "It’s much better if small banks merge." The bank has also started licensing money transfer providers called Hawalas. Last year, the bank cancelled 80 such licenses because of money-laundering. While the lending infrastructure is improving, the central bank’s ambition to start a stock market in Kabul has been put on hold. "It will be a disaster for now to have created a stock market in Afghanistan due to security issues and the economic slowdown," Sediq said, noting there are no laws or regulations in place to support it. "We will have it," he said, but for now "we are not ready." Sediq is more confident about the buffer provided by international reserves, which stood at $6.8 billion at the end of 2016, an increase of $400 million from 2015. "We are at good shape on that," he said. And with a managed float currency regime, the central bank only needs to tap that if there are unexpected foreign-exchange moves that threaten to dent the economy. Restoring stability to the financial system amid a fragile and deteriorating security situation has been a "major development," Sediq said, sitting next to a safe housing the bank’s key documents. "It’s not an easy job."